A reminder that: The majority of artists playing the core TGE venues will have a 30 minute long set. Assume this is the case with artists detailed below unless otherwise stated. Artists, venues or showcases coloured in pink are free to attend without a TGE wristband/pass. At the time of writing, I genuinely feel as if I've already fought through two days of The Great Escape but it hasn't even started yet. Whilst I pull myself together, below you can find my guide to the third and final day to Brighton's greatest music festival. I have to be honest that I'm struggling a bit today. There just aren't that many artists I'm familiar with or that have had much to do with WIIHAMB before playing on Saturday. But rest assured, this is okay, it's a day for stumbling upon things that you can fall in love with. On the Saturday at TGE three years ago I fairly literally stumbled across Scandinavian artist Bernhoft playing on an outdoor stage with just his guitar and a loop pedal and it was to date one of the best live sets I've ever seen. Whilst you're aimlessly wandering there are still a few acts I'd recommend. New City Kings play their straight up heartfelt pop/rock at the Komedia at 12:30 as part of the Great Day Out, headlined by Lawson. As part of the same event, Alcopop Records' finest indie punk four piece Get Inuit headline the Komedia Studio upstairs at 13:45. You've always gotta give your friends a little plug haven't ya? So in typical "my mates are playing" style, young grunge meets indie garage types Blinder play Access To Music's event at Latest Music Bar at 14:30. Something else that's running all day on Saturday worth checking out is Brighton's International Label Market. After the success of London's Indie Label Markets both at Christmas and Easter, it's clear that these hipster hangouts are all the rage at the moment. Even if you aren't familiar with many of the labels it's worth going for a walk around The Open Market just to have a look or even just to pay a visit to the market's resident food stalls, because food is important too. Obviously compared to the last couple of days it's clear I have a lot less of the core acts to recommend today, so you'll understand my absolute sheer devastation when I saw the mother of all clashes: Ekkah vs Oceaán. *Deep sigh*. *Long breath out*. Compose yourself Natalie, it's going to be okay. Is it? Is it though? Is it going to be okay? How does one choose between those two?! 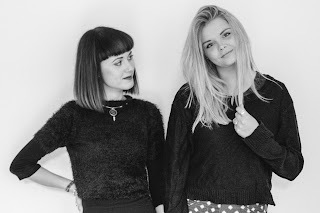 Ekkah start slightly earlier at The Arch at 18:30 and I can't stress how fun the 80s infused female pop duo are to watch. I saw them back in January and left absolutely buzzing with excitement for how huge they're going to be. My fear is going in with the intention of watching the first half of their set and then not being able to leave. A few minutes walk along the seafront will land you at Coalition where you'll find Oceaán from 18:45. I wouldn't hesitate to say that Oceaán is one of this year's most exciting upcoming electronic artists; think Ben Khan and Jai Paul but a little more soulful. There it is, clash of the century. I can't help you on this one. 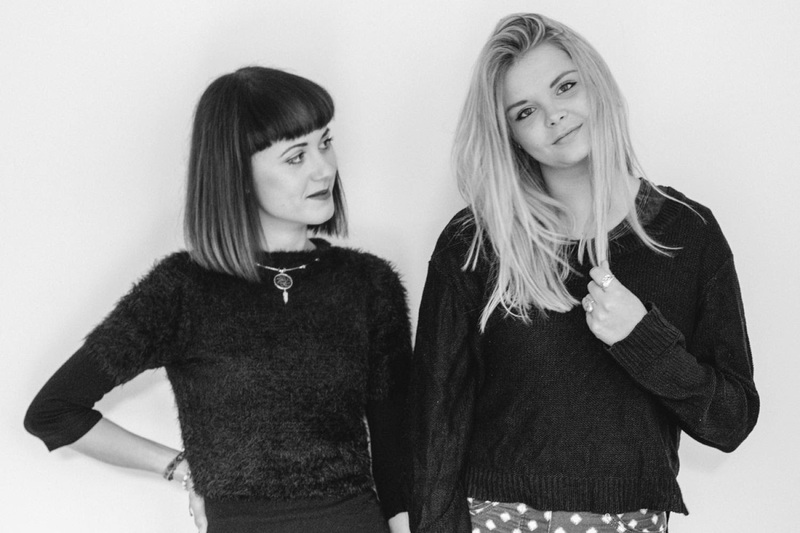 Staying at Coalition, rising alt-pop star and blog universe favourite Vérité performs at 19:30. The Haunt and I at TGE in previous years haven't had the best of relationships. In 2012 I passed out in the crowd during Friends and last year during an attempt to see Jungle we found ourselves at the back of a very long queue an hour before they were due on, with a one in/one out system already in place at the door. This year, however, I'm going to try my luck again with Shamir but with only 45 minutes between the end of Vérité's performance and the start of his, it's looking unlikely. 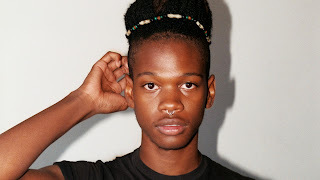 If you want to see Shamir on Saturday (as opposed to his set on Thursday night) I'd recommend you make your way to The Haunt at least an hour early. If you've attended TGE before, you'll know I'm not joking. The Cribs' second show of the weekend, their 45 minute set at Concorde 2 at 21:45 I'd also recommend getting down early for. Obviously remember to factor in the 15 minute walk over there. Back over in the centre of town, you'll find Canadian punks Single Mothers at The Hub at 22:30. That's sort of it for scheduled acts, but like I mentioned yesterday, keep an eye out for those mysterious special guests. There's a pretty lengthy slot, 00:00-01:45, at the Corn Exchange for a Q Magazine/TGE presented special guest. I'd put my money on that being a pretty big one. We've made it. Your TGE festival schedule is now ready to go and you're ready to hit up the real thing. I'll be around all weekend so tweet me, @WIIHAMB obviously, if you fancy a beer... or three. Thanks Natalie, great read over the three days.